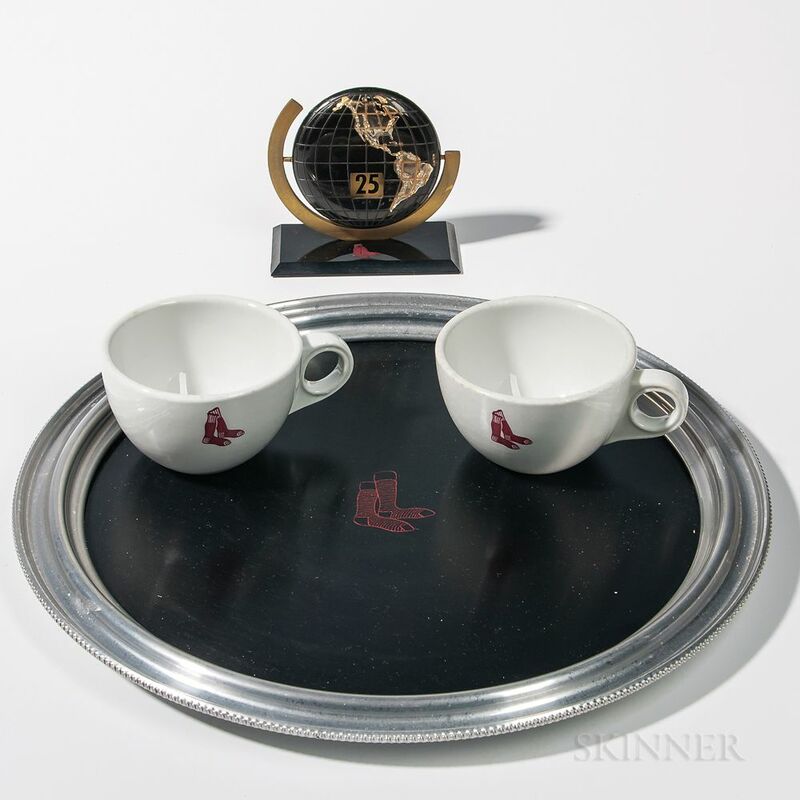 Group of Red Sox Items Including Desk Calendar, Formica Tray, and Two Ceramic Coffee Mugs, mid-20th century, calendar designed as a rotating globe displaying the day of the month, tray with silvered molded lip, mugs by Shenango China, New Castle, Pennsylvania, calendar ht. 4 1/4, tray dia. 14 1/4, mug ht. 2 1/2 in.